Increasingly, global automotive trends suggest that electric vehicles are the new black when it comes to new car purchases. While they may not be the most popular choice among motorists here in Australia just yet, it is only a matter of time before we notice more battery-electric vehicles (BEVs) and plug-in hybrids (PHEVs) on our golden shores. Norway and China led the way in EV purchases. China, not surprisingly, has the highest number of EV purchases globally with more than 600,000 plug-in hybrid vehicles (PEVs) and battery electric vehicles (BEVs) purchased in 2017. Of the total vehicles purchased in Norway in 2017, more than 50 percent were PEVs and BEVs. When it comes to EVs, there are several areas where it makes financial sense for organisations running a vehicle fleet to consider switching from combustion-only vehicles to PHEVs and BEVs in the future. The most obvious one is the savings organisations can take advantage of regarding lower energy/running costs. Despite weighty increases in wholesale gas and electricity prices over recent years, the cost of using electricity – compared to unleaded and diesel fuels – to power your vehicle is still appreciably lower. In terms of the bigger picture, there are recent changes that have taken place in the car manufacturing industry that are likely to make the transition from combustion-engine vehicles to electric a fait accompli. In the last decade, vehicle manufacturing in Australia has ceased with Holden, Toyota and Ford phased out their production lines. As a result, we now import all our new vehicles from overseas manufacturing plants. Leaving impacts on Australia’s current accounts and balance of payments aside, this means changing trends in vehicle purchases in Europe, Asia and North America will have significant repercussions in our market. Despite the staggered transition to EV manufacture and production, the shift will have immediate impacts on Australian car users. The cost to business of running and maintaining combustion-only fleets will undoubtedly increase. 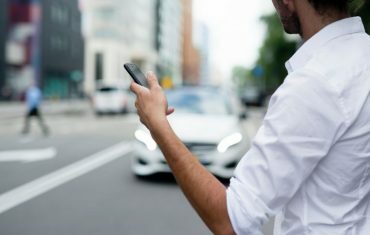 It will be essential for companies like Volvo, Toyota and Ford to provide their dealer networks with the infrastructure necessary to maintain after-sales resources like warranty programs, and scheduled servicing and repairs at the expense of what is currently in place for today’s vehicles. Likewise, with manufacturers devoting more resources to EVs, any reduction in the supply of readily available parts and accessories will also raise vehicle servicing and repair costs. Given the nuances of supply-chain processes, this could also result in vehicles being off the road for longer periods, only adding further costs to efficiently running your organisation’s fleet. With diminishing demand for combustible engines comes diminishing resale values which will also drive up costs for businesses holding these cars on fleet. Indeed with France, Denmark and Germany phasing in a ban on diesel engines – and more EU countries likely to follow – the long-term sustainability case for combustion engines is growing considerably weaker at a more rapid pace than perhaps people who make fleet management decisions think. Even oil producing nations recognise the inevitable transition from combustion engines to EVs. 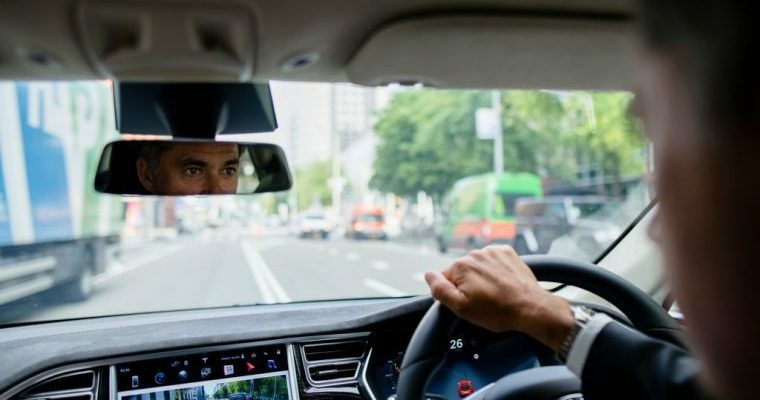 A joint report released by the National Roads and Motorists Association (NRMA) and Australia’s Electric Vehicle Council in October 2017 highlighted a number of shortcomings that – in the immediate to short term – fundamentally hinder the take-up of EVs down under. According to the report, the biggest barriers that presently make EVs less attractive than their combustion-engine counterparts include the lack of infrastructure to support vehicle charging and cost. Most publicly available charging infrastructure in Australia requires EVs to be parked and plugged-in for about an hour or so – as opposed to direct current (DC) charging, which is widely available throughout Europe and North America. Of the available DC charging points available in Australia, too few are available on roads designed for long distance driving and, of those available in these instances, the majority are limited to use by Tesla owners. Cost is also a significant hurdle to potential EV buyers. 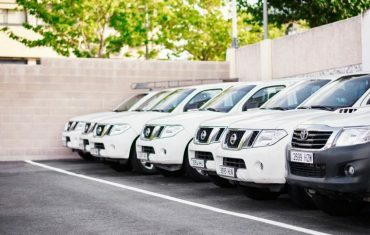 At the time of publishing the report, the NRMA/EVC found that 16 different EVs were available for purchase in Australian markets. 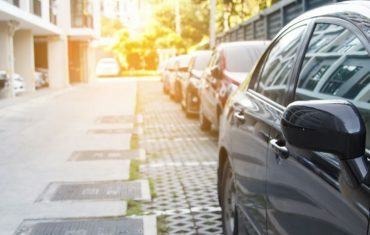 “[Thirteen] of [the models available] are priced at more than $60,000 – making them unaffordable to most drivers,” let alone businesses looking to invest heavily in vehicle fleets. As a double-whammy, the +$60,000 price tag also means EVs incur a luxury vehicle tax on top of other on-road costs. Again, this makes it hard for business and people considering a novated lease to justify the expense. This isn’t to say that Australia’s current ‘chicken and egg’ situation with EVs has reached a stalemate. As Matt Brogan from Motoring.com.au notes, a number of manufacturers will be releasing new models, as well as significant upgrades to their current models, into the Australian market in 2018. Buyers can anticipate upgrades to BMW’s i3 and Nissan’s LEAF range, while Hyundai, Jaguar Land Rover and Renault will be launching new passenger and commercial EVs as the year progresses. The influx of new models, and the increasing demands on infrastructure means that state and federal governments will be left with little option but to take investment in EVs more seriously. So, while there are big picture hurdles that currently make the transition to EVs prohibitive, there are compelling reasons why businesses should start thinking about the transition of their fleets to PHEVs and BEVs sooner rather than later. If anything, it would be imprudent to deny the inevitable.